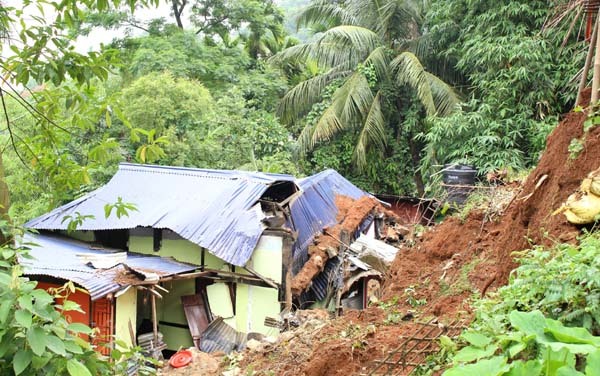 A landslide took place at Nizarapara, Birubari area early on Friday morning. The guard wall of a private plot of land collapsed due to the landslide. This is not the only landslide incident that happened, another landslide was also reported at Hemtola in Kamakhya on Thursday. No pne was injured in any of the incident. The Kamrup (Metro) District Administration has called upon the city residents to take precautions with regard to landslides and avoid localities and spots which are prone to slides. “The monsoon season has arrived and we call upon all residents to take precautionary measures during the coming months,” said Additional Deputy Commissioner of Kamrup (Metro) Pulak Mahanta.